Nice ride man! I've been eyeing that car since it came in. It's just a little over my price tag. Like 10k over, so i got a 2013 wrx (voided warranty). Welcome! Hola-Welcome! Great looking STi. Did it come equipped with any factory installed SPT parts? Nice! Did you just get this from Garcia? Chaz2.5 wrote: Nice! Did you just get this from Garcia? Yep. Took delivery on the 11th. LaFuriaRoja wrote: Hola-Welcome! Great looking STi. Did it come equipped with any factory installed SPT parts? Thanks. I got it with the SPT short shift and exhaust that's it. I was gonna get the boost gauge but I decided to hold off and just grab a DEFI later on. Good stuff. I was curious how long it would be there. I'd always see it when I went tocheck on my RS. DarrelWRX671 wrote: Nice ride man! I've been eyeing that car since it came in. It's just a little over my price tag. Like 10k over, so i got a 2013 wrx (voided warranty). Welcome! 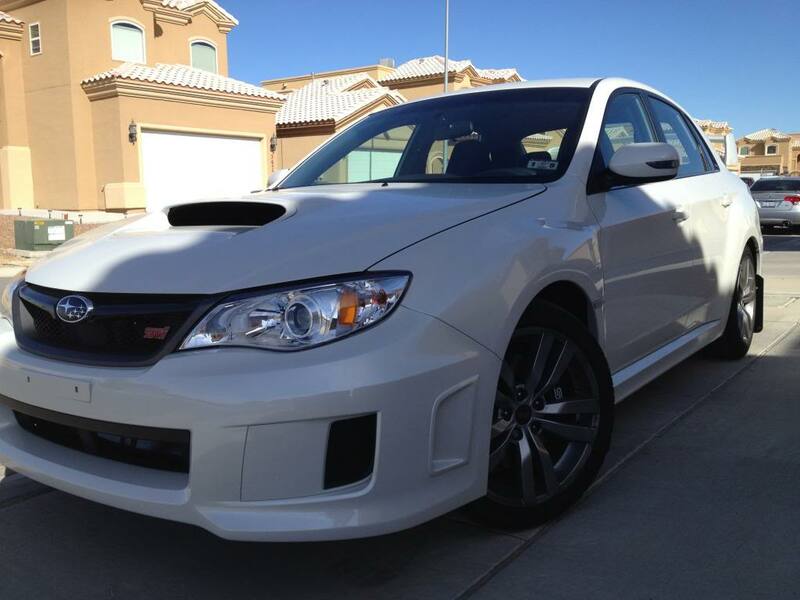 Yeah STI's have always been my dream car and I never could afford it. Luckily, I got a large amount for my trade and was able to haggle a considerable chunk off the price. Well the day I drove this one off the lot they already had an exact copy parked by the road. That one is still there I think. If I had it to do all over again this one would still be on the lot and I would have gone to Albuquerque to buy it. Horrible experience. Chaz2.5 wrote: Wow, that bad huh? Hey I see you have the Cobb AP. I think that's gonna be one of my first moves. How do you like it? Also how easy is the flash back to stock because I really wanna try and keep my warranty valid? Is it true that dealerships can see if it's been used? I still want an STI! The WRX is good for now..